Well, last night a historic church in France was destroyed by fire - you probably heard about it. And I wept, with many of my French fellow-citizens, as I remembered my past visits to the vast and beautiful church. Of course, the fire which partly destroyed Notre Dame was probably the result of careless contractors’ failure to take proper precautions; while three churches in Calais were destroyed (two years before) deliberately and violently by the civil authorities who were determined to erase a culture which was trying to establish some feeble roots in Northern France. I’ve been weeping a fair bit about them too, and I recommend you to spend some. time on them. (Since the idea of , for example, an Ethiopian church in Calais seemed intolerable to the citizens.) The Socialist mayor of Paris Anne Hidalgo, who has been. it seems, (in contrast to M. Macron) doing her best to ameliorate the misery of the migrants sleeping rough in the streets of the capital, and has inevitably called for an end to their persecution; is now confronting the disaster of Notre Dame. Fluctuat nec mergitur. No one seems to have been killed in either fire, by contrast to the destruction which has been wrought on the streets of Paris and indeed Calais by the CRS. And now here we are, desperately trying to shore up some fragments of ourselves in this ruined landscape. By an odd coincidence, but it’s not just a coincidence, I’ve been renewing acquaintance, at least virtually, with some of the old 2015 gang; the lads and lasses who tramped with me along the Chemin des Dunes as, bit by bit, it was being destroyed. What are we doing now? I hope to find out; in my case, the answer is nothing very hopeful. In this new strange Britain where Jeremy Corbyn and Teresa May link arms to ensure a non-catastrophic Brexit, I can’t see any place for my old comrades; but prescience has never been my strong point. We may meet from time to time over tea and hot cross buns to discuss the possible outcomes for a Europe in which the fascists seem to be everywhere on the ascendant; ;and we are , these days, the discussing the concept of a ‘crime of solidarity’ as it’s increasingly called. And yet how rapidly things are changing! In Sudan and Algeria, two countries where an ‘old guard’ had clung to power for thirty years, it has been summarily removed in a matter of weeks. I don’t have the knowledge or wisdom to comment to where these immensely hopeful developments may lead, I’ll simply mention them to show I’m not completely ignorant. And in Paris, the mayor, Anne Hidalgo is trying to avoid the repression which is an inevitable temptation for European governments. 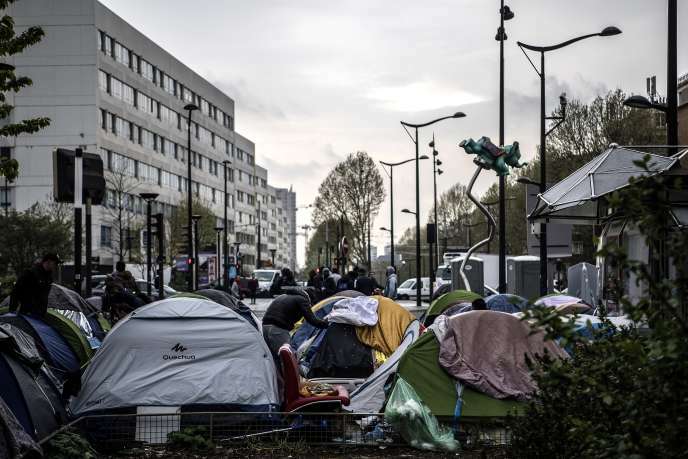 Tents sheltering migrants, porte d’Aubervilliers, Paris, the 9th April. The Mairie will ‘stop fraudulent dealing and drug trafficking, seven days a week’; and to rebuild a bit of peace, they claim they will strengthen the new teams of city police.There will be a brigade present under the aerial metro from Barbes to Stalingrad and around. Paris, France - Trying to ward off the overnight cold with a blanket donated by volunteers, Muktar Ali was sleeping rough in the north of Paris when at about 4:30am, the police returned. 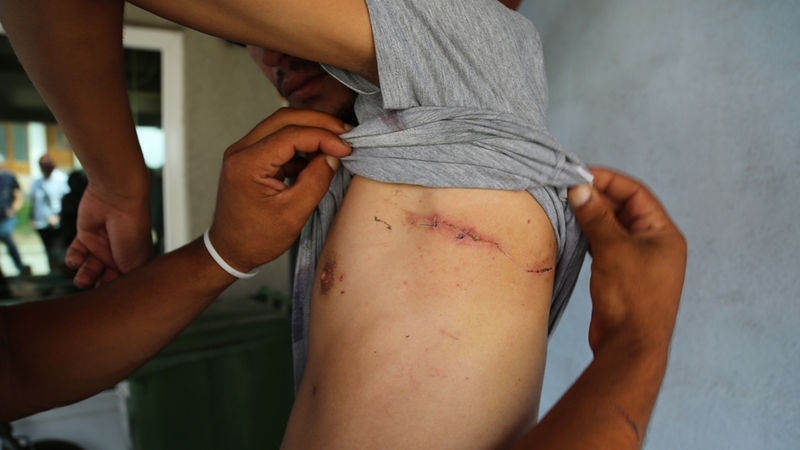 He and several other Eritreans say they were pushed, prodded and kicked by police clearing the area. 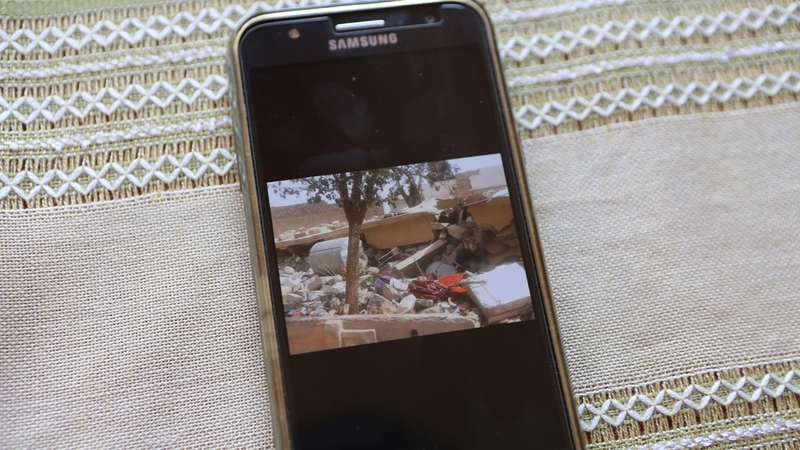 “Police took everything I had – clothes, shoes, blanket – and threw it all away,” said Ali, 33, who had fled forced conscription in Eritrea and was held captive by rebels in Libya before crossing the Mediterranean Sea to Europe. Now, he’s among many refugees living on the streets of Paris, who have been subjected to displacement, detention and deportations. Police raids, at least 30 since last June, and a cycle in which displaced people return to live in squalid camps, have angered residents and prompted them to form groups like Le Collectif La Chapelle Debout, which provide food and shelter that they say the government should be providing. But recently, as a result of these actions, these activists have been finding themselves in criminal courts across France. Houssam El Assimi, of Chapelle Debout, was arrested during a police raid on a Paris camp last September. Charged with “violence against persons holding public authority,” he faces up to three years in prison and €45,000 (over $48,000) in fines. Last week, his trial was adjourned until May. In the meantime, he plans to file charges against the police for using excessive force during his arrest. He has been translating French and Arabic and helping migrants navigate the French immigration system and told Al Jazeera that he is being targeted because his group protests against the police and government policy. El Assimi is one of several people pursued in the courts for protesting on behalf of migrants and asylum seekers or providing them with transport and shelter. Under Article L622-1 of France’s immigration law, anyone who “facilitates or attempts to facilitate the illegal entry, movement or residence of a foreigner in France shall be punished by imprisonment for five years and a fine of €30,000 (over $32,000)”. Pierre Mannoni, a 45-year-old geography professor and father of two, was arrested at a highway toll booth while driving three injured Eritrean teenage girls to Nice for medical care. He was acquitted in court, thanks to another clause stipulating that one must benefit from the transaction – a clear reference to human trafficking. But the prosecution has appealed and called for a six-month prison term. Often referred to as the “crime of solidarity”, the law has been used to prosecute people who support migrants and asylum seekers. Rights group Gisti has documented a rise in the number of such cases going to court, and more than 100 NGOs, charities and labour unions signed a manifesto this month calling for an end to the criminalisation of humanitarian activity. In 2012, the new Socialist government vowed to turn the page. “Our law cannot punish those who, in good faith, want to give a helping hand,” said Manuel Valls, then France’s interior minister. 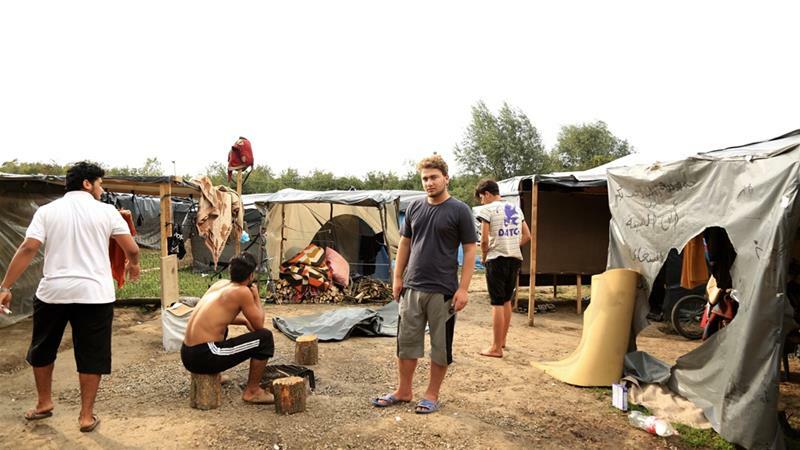 “Since 2015, there’s been a proliferation of cases aimed at intimidating or preventing citizens from expressing solidarity with migrants, refugees and Roma,” says Marine De Hass, of the rights group, La Cimade. “It’s not just article 622-1. A growing number of people are being prosecuted for helping or supporting, undocumented persons,” De Hass told Al Jazeera. 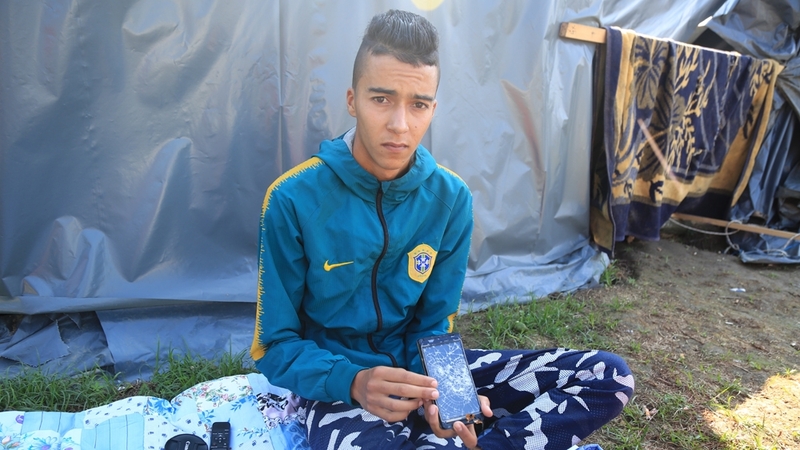 Local Green councillor Jean-Luc Munro described a personal incident that took place as he was riding his bike in a Roma camp near Lille last April. He said he was thrown off his bike after being told to stop by the police at a roadblock there, and was consequently charged with using his bicycle as a weapon to inflict ”violence against a public official”. “There’s been a real hardening against activists for a year and a half now,” Munro told a local newspaper. Having documented only a handful of cases against activists between 2012 and 2015, Gisti lists more than a dozen in 2016 alone, with several more going to court in the coming months. The list is not exhaustive: both Charles and De Hass say there are probably more, unknown, cases. The ministry has not responded to repeated requests for an explanation as to why cases are being pursued in which no personal gain is apparent. Although the Nice courts concluded as much in Mannoni’s trial, the prosecution appealed his acquittal. But this is the way it’s been going. Georges Brassens would have understood. Having been, over the last few weeks, more disabled than I can care to remember, I can pass on a few tips on the long and painful inverse process of becoming abled. if you have become, disabled, the NHS will spend a certain number of weeks abling you freeof charge, with carers to wash you and phystotherapists to try to get your feeble frame back to its former ability. You begin in a spirit of confidence – good heavens, this disabled part of my body seems much more abled than it was last week; I can walk along the hall, and even back with sticks; type a letter, read a tweet, etc etc. But ahead of this, the goal of being actually declared able (and being able in my own mind) seems to have vanished to an indefinite distance. Me, Virginie and Zimako in happier days, 2015. And indeed what is it? If the NHS declares me able, can I argue with their conclusions? There seems to be much more to this business of abling than I had imagined; and the process stretches out indefinitely,there being so many disabled parts of me which need to be abled. Islington has in its kindness been providing something like an army of ablers who will teach me to do for myself what I have forgotten; but like any of the State’s provisions, this is necessarily limited in time, and at a certain point the process of abling will necessarily cease, leaving me, I have to conclude, only partly abled. I’d rather be able, and working in the jungle – which of course doesn’t exist any more. When can I shave, or do a crossword, or any of those essential activities which (one doesn’t realise) one couldn’t carry on one’s daily existence without? Most nights I try to watch an educational film by Pasolini or Annnemarie Jacir on the lapt0p, with some difficulty (I”m not sufficiently enabled to get the movie to stream to me), trying to piece together the implications of the social context. What social context, I might ask, am I embedded in? I have left disabled those things which I ought to have abled, and I don’t see where to get help. It involves, inevitably, exercise, and if you don’t like exercise or can’t face it, you might as well forget it and stay disabled. Bend that knee, lift that right arm. Pain? Gain. Get motivated, for Chtrist’s sake! Please help me, friends, and that soon. Well,I should have done with apologising for my silence. God knows, it has enough reasons; and many of my readers may feel some relief to have been spared this prattle – since a bit before January 11th, when I went (voluntarily) into UCLH (‘requires improvement’ – CQC) to have a knee replacement. The operation was certainly well worthwhile, since I could hardly walk; it went through quickly enough and was reported successful. This was on the 11th January; and what I didn’t expect was that I’d then be facing over three weeks of hospital life in its various incarnations. Luckily I’d brought Thomas Mann’s well-known text The Magic Mountain for light reading; and since it’s both about life in a sanatorium and extremely long, it was a pretty good choice, whiling away the endless nights, but the discipline – when can you turn on the light? – and the company haven’t always been to my choice, since I have to recognise that I’m getting old and crotchety. And my chances of thinking coherently for any length of time, and formulating a set of principles, have been slim indeed. ‘The High Court has today declared the appeals process for asylum-seekers in detention to be unlawful. Mr Justice Nicol quashed the procedural rules governing the Detained Fast Track asylum process, under which appeals are processed according to severely truncated timescales. However, despite this finding the judge nevertheless granted to the Lord Chancellor’s request to stay the ruling until his appeal is heard in the Court of Appeal, on the basis that for the order to take effect immediately would be ‘inconvenient’. The judgement would mean that the Home Office would no longer be able to assign asylum-seekers to an accelerated appeals process in detention. Asylum-seekers would therefore no longer be detained throughout the asylum process simply for claiming asylum. But until the appeal is heard, asylum-seekers will continue to face an appeals system that has been found unlawful. Detention Action is considering urgently appealing the order refusing the stay – I wish them good luck. How many other judgments have I missed! But I simply need to catch up, and I count on you, my friends and supporters, to keep me abreast of what’s new; of what our comrades in Garden Court and such places are up to in the defence of detainees and asylum seekers. In the middle of the night, I think of (what I might say if I got round to addressing a meeting): how lucky I am, bad legs, C.Diff and all, to be still alive and around when there are such transparently good causes to fight for, and such admirable allies I have to stand with me in the struggle. True, there were times in the seventies and eighties when, under the influence of such as Tariq Ali, I thought that I was in the heart of the class war; but such are the tricks which history plays on you. I should here post the whole of W.E.Henley’s ‘In Hospital’ sequence (1873-5); but it’s not all relevant, and would obviously take up too much space. So here’s a sample, VII ‘Vigil’, which reflects how I’ve quite often felt. Ache – - – ! Snores me to hate and despair. On . . . and still on . . . still on! (Whispering me, ‘Are ye no sleepin’ yet? Round . . . and is gone. WARNING: The author of this blog is, alas, beginning to run out of steam as his physical strength gives way in almost every direction. I”d better get some words through asap in order to have at least a semblance of having something to say. Every tinpot Pope or dictator has sent his or her people a new year message promising better times in 2019; and while I completely despise and disbelieve such promises, I’d better say something. Moreover, I think it would be a poor year if I didn’t say something to kick it off. I’m feeling so debilitated – I’ll perhaps spare you the gruesome details – that my poor brain is barely up to stringing a couple of sentences together. But who am I, I ask, in these desperately lost and miserable times, to say anything? I look around and what do I see which I could c0mmunicate? 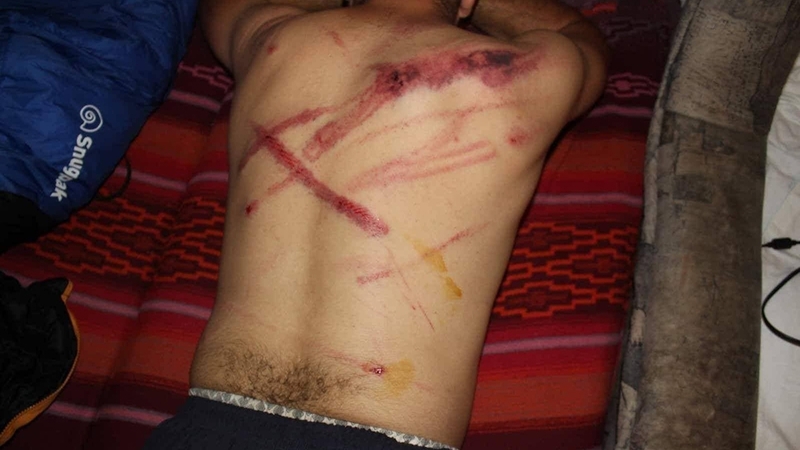 The same stories of increasing repression and persistent resistance. This, (below) the latest this morning, arrived from SOS Mediterranee. I read them all the time and they don’t change. Nor does the excruciating pain in my knees which distracts me from stringing a sensible sentence together, and which I’m told will be a as it were magically dispelled by a skilled surgeon in about a week’s time. It seems much too soon for me; I have to collect my thoughts, to make my will, and to see a) if there are any other bits of me which deserve priority in the stitching-up process, b) if I should not give priority to the problems of the world, and put my own on hold. 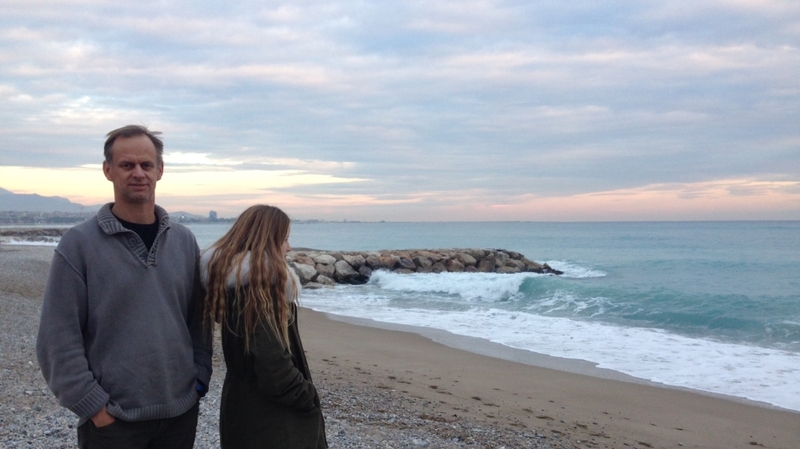 O People, awaiting my new year’s message – what do I have to tell you? In the first place, don’t trust anyone who promises you a short-term solution for your ills. The masses who have fled the killing fields of Syria to end up in the swamps of Calais are likely to die in the cold unless you (we) make a move to end their suffering. And as for those whose, I keep repeating, are turned back by Salvini’s henchmen to drown in the Mediterranean, what hope do we hold out for them? A small ray of light comes from a few mayors of Italian towns who will defy their government; and elsewhere, our best hope seems to be in the people, the small and the local; the volunteers, the newly elected members of Congress, few as they are – Palestinian, Somali, Native American, miles from having the weight of numbers to face up to the rulers of their country, they still represent moral authority. I salute them, and the underground workers all over the world who are defending justice and peace. They know who they are. This new year, they represent a new hope. Milton, who had no problems but blindness, found a sort of comfort in standing and waiting; will it serve me amid my sea of troubles? 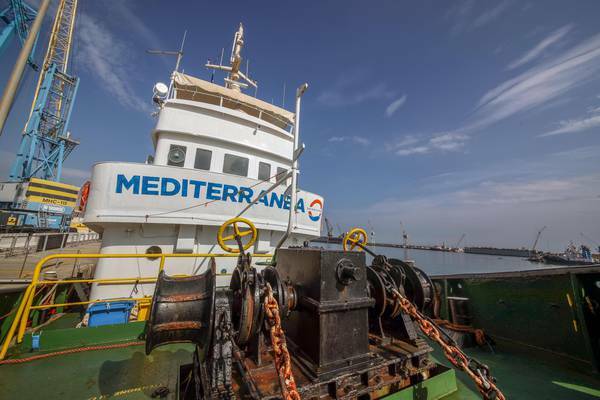 ROME - Italian migrant rescue ship Mediterranea set off from Malta Friday to bring relief to Sea Watch 3 which has been roaming the Mediterrean for 14 days with 32 migrants aboard. Meanwhile Naples Mayor Luigi de Magistris reiterated that the port of Naples was open to migrants despite a ban imposed by Interior Minister and Deputy Premier Matteo Salvini. He said he was determined to save the lives of “children who are dying at sea”. Salvini said “I’m full of messages from Neapolitans who want de Magistris to deal with the problems of Naples, the rubbish in Naples, the traffic in Naples, jobs in Naples, public housing in Naples; if he wants to be a yachtsman and open the port let him do so, but the interior minister has competence over the port, as he does over all Italian ports”. Salvini was backed by his ruling partner Luigi Di maio who said Italian mayors can’t open ports to migrants. “There are mayors thinking of whether they should open or close ports,” said Di Maio, who is the other deputy premier as well as industry and labour minister. “I’d like to remind them that they have no authority by law and this shows that all these statements are part of a great opportunity to wage a little election campaign and ask citizens for some votes”. The European Commission is continuing its “intense” contacts with member States disposed to finding a solution for two migrant rescue ships carrying a total of 49 migrants for almost two weeks, EC spokeswomen Mina Andreeva said Friday. The Sea Watch has 32 migrants while Sea Eye has a further 17, making 49 in all. Andreeva said the EC was trying to find countries willing to “find a solution on the rapid disembarkation of the people on board the Sea Watch 3 and the Sea Eye”. On Thursday, she said, Migration Commissioner Dimitris Avramopoulos urged member States to “help this joint effort to safely disembark those on board as soon as possible. “A series of member States has voiced willingness towards this joint effort and to support Malta”, she said. And, besides saving the drowning, the admirable MSF continues to bring new life into a cod unwelcoming world. I wish them all well – here are the first. Thirty-four-year-old mother Gninguin welcomed her fifth child, a little boy, at 9:02 am in the morning on New Year’s Day. The baby was born at Boniéré Urban Health Center in the Cote D’Ivoire and weighed 3.2 kgs. Although she hasn’t yet given a name to the new arrival, Gninguin says her dream is simply that he “becomes a good person”. So today we have some upcoming, boring old news of what may or may not be decided about the so-called United Kingdom and its future. This story has been going on so long, with so many turns in the plot, that I expect my readers have, like me, lost said plot and forgotten what, if any, were the issues. Who were the good/bad guys? What outcome, if any, might we applaud? Will ‘Great Britain’ remain attached to the so-called continent of ‘Europe’? It is, after all, a relatively short time since ‘Britain’ was separated from the ‘Continent’ by water; a mere 500.000 years ago, our ancestors used to saunter across the 22 miles of the Weald-Artois anticline, before the Anglian Glaciation. [Nit-pickers have been pointing out that the ;phrase 'our ancestors' only correctly refers to people descended from the Paleolithics, which excludes Anglo-Saxons,and maybe even Celts]. And then, once they’d been forced to cross by water, they started insisting on constructing tunnels to connect the two sides; and then, yet again, having gone to the great trouble of making that connection, they set up barriers and border posts and using the CRS and CS gas to repel anyone who tried to get across. It is, by now, so difficult to care, as the story becomes increasingly reduced to a fractious squabble among Tory MPs. dnd what is the point of it all? Since there seems to be very little relation to the class struggle, I (like Mr. Corbyn) find it difficult to focus on what might be a momentous decision for our island as I try to think of how it might relate to the concerns of miners in North Yorkshire. The Stansted 15 expected to face retribution for their protest. They never expected to be found guilty of terrorism offences. But on Monday, the group became the first activists involved in a non-violent direct action protest to be convicted under laws that were formulated in response to the Lockerbie bombing. After a judge told the jury to disregard evidence put forward to support their defence that their attempt to stop a deportation flight was intended to stop human rights abuses, the defendants must wait until February to learn if they will face custodial sentences. Both activists said they had been lucky to not only have a mutual support network among the 15 who stood trial and have now been convicted, but a much bigger support network, too. ‘On a personal level it has been horrendous and has taken a huge mental and physical toll,” said Smoke. Tamlit said: “We’re all in a state of shock, sitting around and letting the news filter through. Our action has brought the issue of Home Office charter flights into the public domain in a way that they weren’t before. “One of the women from a migrant solidarity group told me that her applications to remain in the UK have been rejected for eight years in a row. Hearing about things like that really puts our situation into perspective. 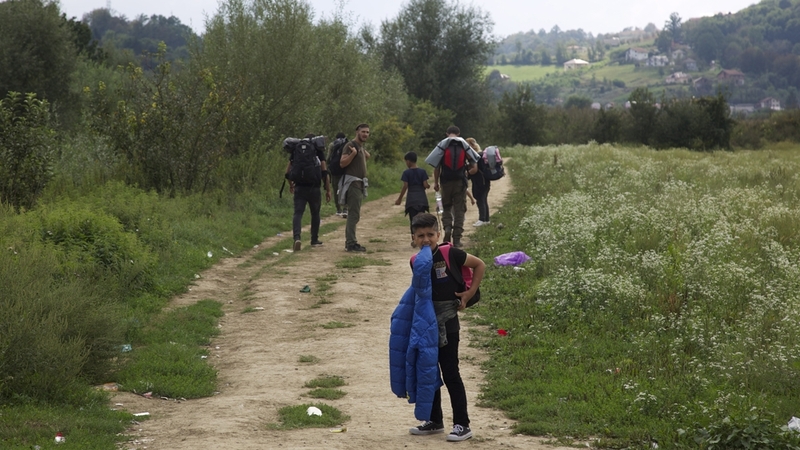 The Home Office removes thousands of migrants including asylum seekers each year. Following the action to stop the charter flight at Stansted airport, the ministry is increasingly using military bases such as Brize Norton and often uses the services of Titan Airways for these flights. Titan does corporate work as well as operating charter flights for the oil and gas industries and the military. Tamlit had been involved with activism in support of migrants since his student days, including a few actions prior to Stansted such as supergluing himself to a door and lying in a road to protest. “Stopping a charter flight is an intervention that keeps people in the country,” he said. “It was very nerve-racking on our way to Stansted but we read out testimonies from Detained Voices, a group of immigration detainees, which gave us strength to do what we did. There will, as Jimmy Cliff reminds us, still be many rivers to cross. Jesus and so on is finally getting more of an airing; the latest spat being the remarks of CNN’s Marc Lamont-Hill (which got him sacked) in which he made the the suggestion that we would be better off with one state from the river to the sea, and that a democratic one. [Many have noted that we do in practice only have one state , but that it's operating what's effectively an apartheid régime.] Let’s see whether the idea spreads to white academics (and beyond). At this point I should describe in more detail than I have so far without being tactless) what I mean by ‘my household’ – .not in the sense of ownership, but in the sense of where I live. This consists currently(omitting cats and dogs) of two pensioners (who tend to get up in normal time for breakfast, and talk to each other in the way pensioners do) and three members of the younger 16-36 age group (who tend to be around rarely, at completely unpredictable times, but not mostly when I need them e.g. when I’ve lost something which I really need). These, as you can imagine, are mostly on their phones – talking to friends? posting opinionated messages on social networks? Blocking each other for unacceptable behaviour? How do I know? When I need something and shout up the stairs, (‘ Where’s my diary/Capital volume I/the dustpan?’) I need to phone or text someone who may answer if I’m lucky. We sometimes have a meal together, as if by chance, we may even have a conversation but this isn’t apparently the stuff of sharing the same living space. The kind of thing which used to be common in the seventies (‘Comrade! You haven’t cleaned out the toilet in an acceptable way! There will be a special meeting at 3.15 to discuss and correct your behaviour.’) seems to have vanished to a bygone age. And this kind of thing seems to be becoming more the norm, so that my Somali friends too are complaining that they miss that careless sociability which used to characterise the family, or qoyska as they call it back home, and the kids are in their rooms on their phones. How the ideology of communal living has changed! Are you, ny friends, having the same experiences? If I try, as I would naturally do, to suggest that we should alll get together to organise a reading of Three Sisters or watch a Korean psychodrama, I can’t be sure of gathering everyone in the same room at the same time. How does your experience compare with mine? You are currently browsing the Uncategorized category at Luke Hodgkin.